Contact lenses are a great option for anyone who doesn't want to deal with glasses. I have been wearing contact lenses since high-school. 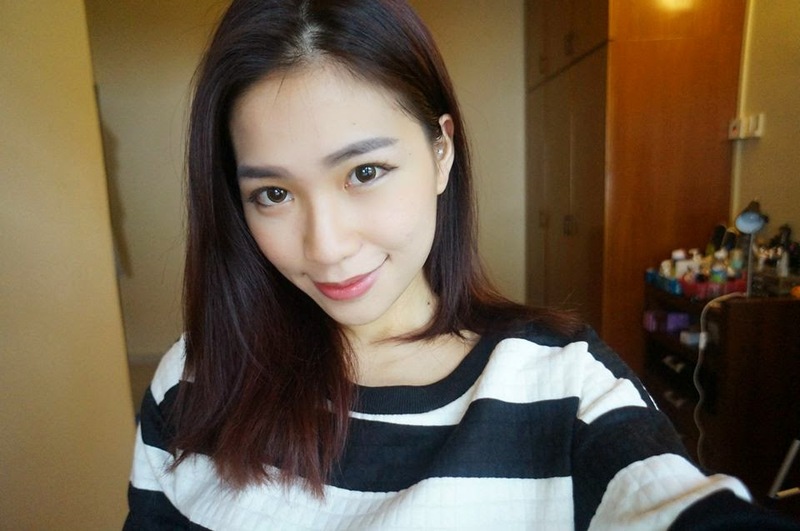 Why I choose contact lenses over glasses? Of course, It's because of the TREND! Others than that, I prefer the way I look in contacts. 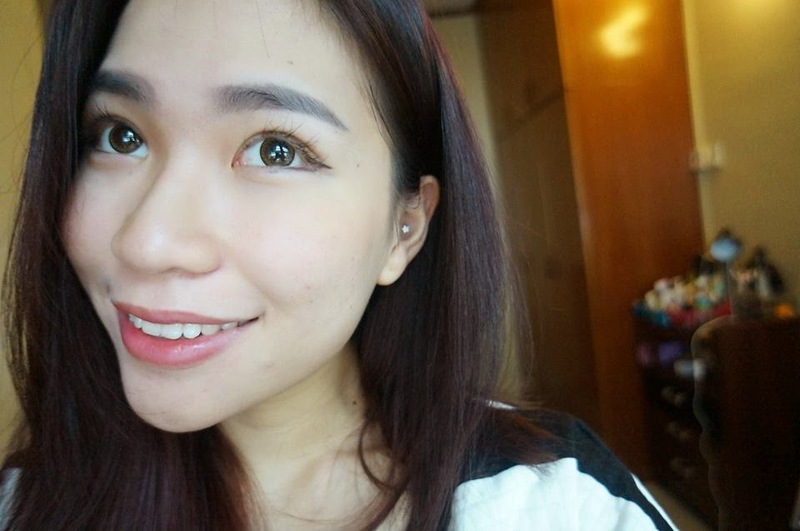 I am very comfortable and more confident with wearing contact lenses. If I wear contact lenses I can put on my make-up and my eye make-up definitely shows better this way, doesn't it? If I have my contact lenses on me, I can also wear stylish sunglasses when travelling or sightseeing on a sunny day. Moreover, I just love the freedom and convenience provided by contact lenses instead of glasses. Especially the enlarging big eyes contact lenses. These Enlarging lenses are made for a big, bold, dolly-eyed effect. These lenses are usually larger in diameter than normal lenses, with a thicker outer rim to emphasize the size of the prettiest of peepers. These are designed to make our eyes look bigger and bolder. People always asking me what contacts I'm wearing all the time in my photo. 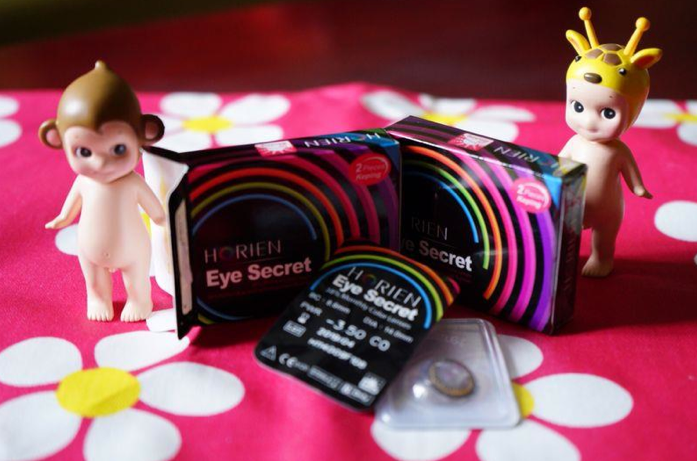 Yes, It's a difficult question because there are so many types of contact lenses in the market. The 1st things i concern about is the DESIGN of the lens, 2nd is the COMFORTABLE LEVEL... Then it goes on to price. It's really important to pick the right contact lens. Remember, always choose the QUALITY lens! Because it's for our EYES. We only have a pair of eyes. So, It's very very very very important to us, we have to be extra careful to look after them. 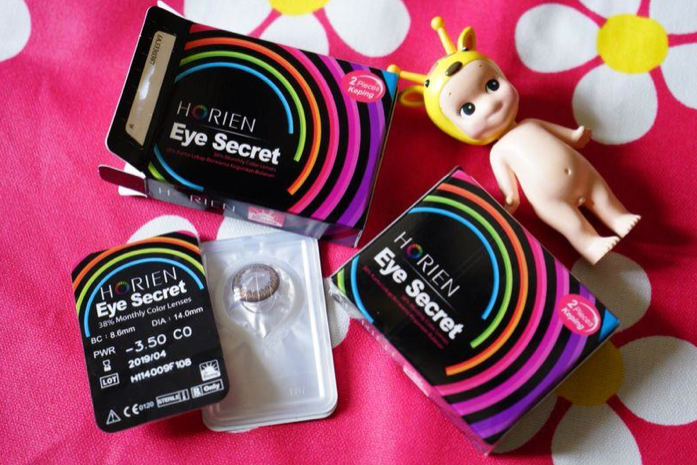 Recently, i was introduced to this Horien Eye Secret Color Lens. It's really comfortable to wear. You know what, Comfortable contact lenses are very important to me. Because my eyes are very sensitive and dry. Somehow, this lens is really suits for me because it's 38% of water content, quite moisture and my eyes won't feel dry even i've wore it for the whole day. 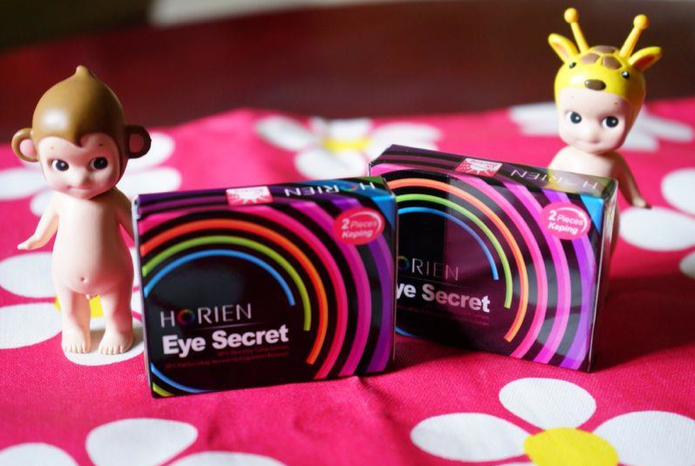 Here's a photo of me wearing the purple Horien Eye Secret. • Monthly disposable color lens (Peacock Lace design, 2pcs per box): Black, Brown, Grey, Coco, Blue, Purple. 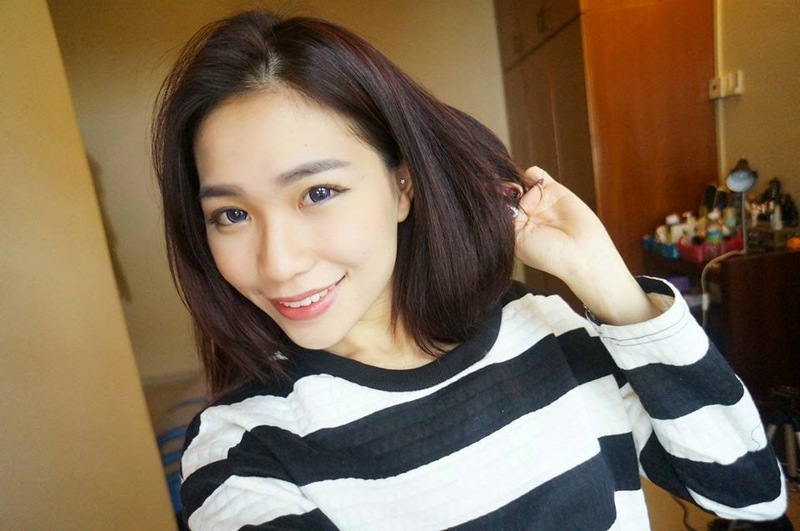 Check out my lens, It's looking really natural with 14.00mm diameter. With advance Bio-Molecule 3D Wrap (BMW) Technology, paints won’t have direct contact to your eyes. It’s safe and comfortable to wear. For those who are interested to get one of these lens. Interested to get this for FREE? 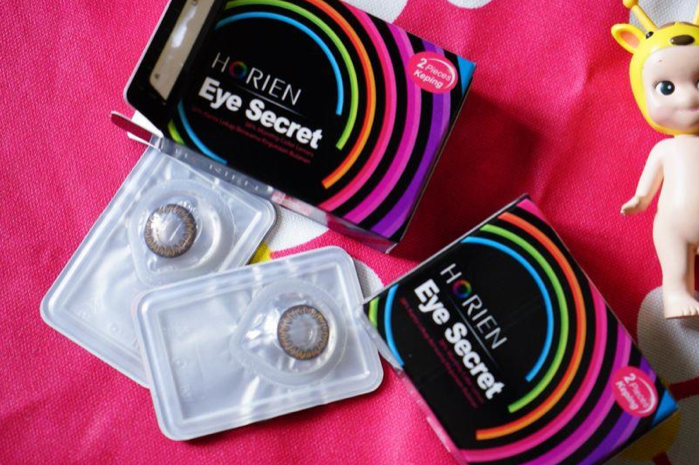 Visit Horien Eye Secret Facebook website now! &&& Don't forget to quote my name to stand a chance to win yourself a pair of contact lens! Hi . I saw your previous post about your skin . How was your skin now ? Already cure ? I'm about to go to dr ting too . Is him OK ? Hi there, my skin is getting better. No more active acne. Just scars left. You need to do before continuing to snapchat registration is to download the application. Snapchat Login you could conserve the screenshots easily currently.